As we noted earlier, we have now the DAAD application open and encourage potential applicants to apply. 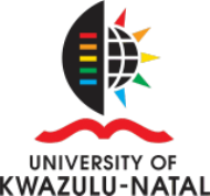 This is an opportunity for a PhD in Higher Education Studies at the University of Kwazulu-Natal, Durban, South Africa. The PhD in Higher Education Programme at the Higher Education Training and Development typically follows a Cohort Model where students meet around half-a-dozen times a year for three-day weekend seminars for three years. During the course of this period, students attend seminars and public lectures, involve in case studies and present their research work. Students are provided an opportunity to enrich their research skills, theoretical and paradigmatic knowledge, methodological acumens and of course knowledge in the field of higher education. Students come from a wide array of disciplinary background to study higher education. This enriches the dialogue in the seminars and lectures by providing an opportunity for multiple perspectives and discourses. We have recently invited and recruited Associates from around the world to help advance our capacity in research, teaching, postgraduate supervision, and policy dialogue in higher education as a field of study. Send your applications to Ms. Sheryl Jeenarain at Jeenarains@ukzn.ac.za (phone number +27(0)31 260 3257) according to the guidelines on this page. (Click Postgraduate Education on the left panel.) General application and admission information is available at this link on the School of Education page. Please find the information for application here.